Have you heard about the cosy Edwardian-era café nestled in the bustling township of Garfield? 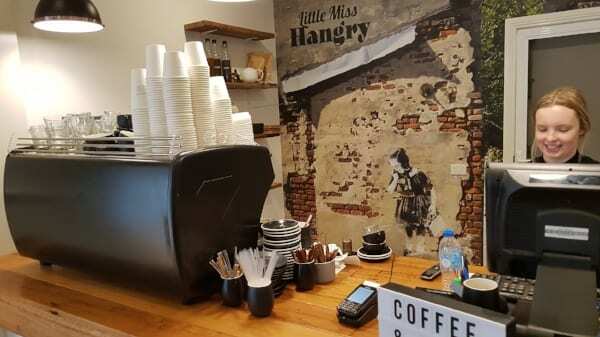 With original timber floorboards and fireplaces in each of the three comfortable dining rooms and charming decoration you’ll feel right at home at Little Miss Hangry. Maddy Taylor has created a sort-after café space with delicious gourmet food and Zest’s very special coffee. Apparently the café is named after Maddy’s tendency when she was a girl to show signs of “hangriness” (a state of anger caused by lack of food) but you won’t pick up any residues of attitude problems in this place now! Directions: Coming from Melbourne way? Dive off the Princes Hwy to the right at Tynong Road, follow Tynong road for a few k’s until you hit the t-junction of the Nar-Nar Goon-Longwarry Rd. Turn left and follow this lovely country road until you reach the little township of Garfield. Don’t go to far, Little Miss Hangry is the quaint whitewashed-green roofed cottage on the the right side of the road at 101 Main Street. Enjoy the drive, and enjoy lunch at Little Miss even more! From the moment I stepped in I felt welcome and a bit special as I was shown to a table in one of the smallish rooms of this renovated bungalow by friendly wait staff. 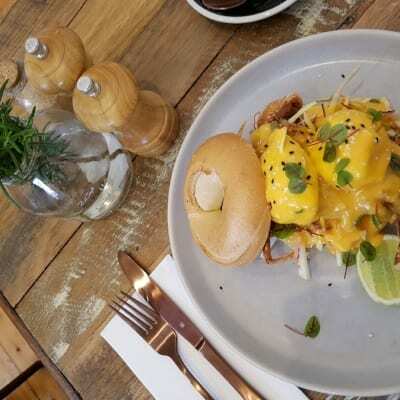 The new menu had heaps to offer to mitigate hangriness, but the soft-shell-crab benedict bagel was the standout to me. I didn’t have to wait long to be delivered a lovely full-bodied and chocolaty latte made with our Forte Dark blend (it just hit the spot! ), which was followed promptly by my meal – the most delicious crispy seafood bagel with perfect eggs, yummy sauce and fresh coleslaw I have ever tasted! Needless to say I left with a smile on my face and not a trace of hangriness in my body. Well done Maddy and crew - you are doing a great job! 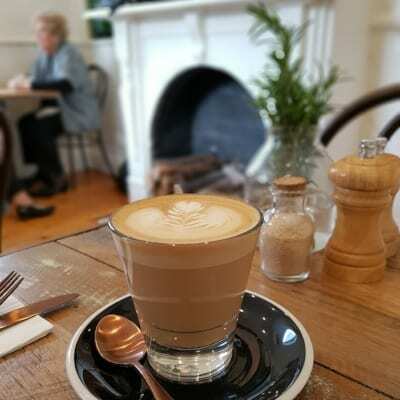 Well worth a visit for brunch at this quaint Gippsland gem! Rod Greenfield, Zest Company Director.